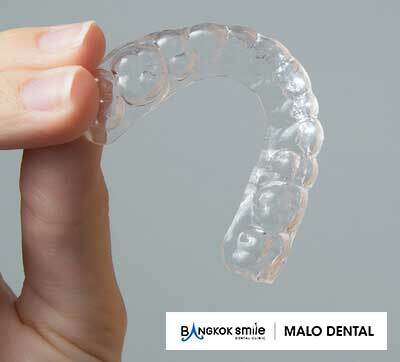 INVISALIGN™ - Straight Teeth. No Braces. Invisalign™ has helped a lot of people all the world to achieve the smiles they have always wanted, without metal braces. Let us show you how we can improve your smile with straight teeth without people even noticing you are straightening them - with Invisalign™. The invisible way to straighten your teeth (without braces). 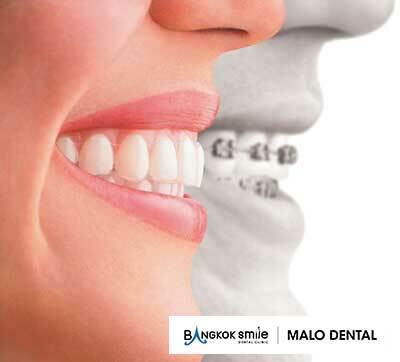 Series of clear, removable, and custom-made teeth aligners. You wear each set of custom-made aligners for about 2 weeks. Remove only to eat , drink , brush and floss. Visit your doctor roughly every 6 weeks. Total treatment time averages between 6-15 months only. How are the INVISALIGN™ aligners made? At this point, you will even be able to virtually see on the computer how your teeth will move into their proper position and turn your smile into its most beautiful appearance. Afterwards, the data will be sent to an Invisalign™ Factory to fabricate your custom-built set of Invisalign™ aligners made with advanced medical-grade plastic (polyurethane) materials. Once completed, they will be sent back to our clinic so you can immediately start your treatment. Invisible - so no one can tell you're straightening your teeth. You can start smiling during treatment as well as after. Removable - so you can eat and drink what you want while in treatment, plus brushing or flossing would be no problem at all. Comfortable - because there are no metal parts to cause mouth abrasions during treatment. And having no metals and wires to adjust simply means you spend less time in your dentist's office for adjustments. INVISALIGN™ can work for you! Invisalign™ treats a wide variety of cases, including crowding, space closure, and relapse of previous orthodontic treatments. Teeth that overlap or are not straight. Upper teeth are extended over your lower teeth more than desired. Teeth that are not close enough together.